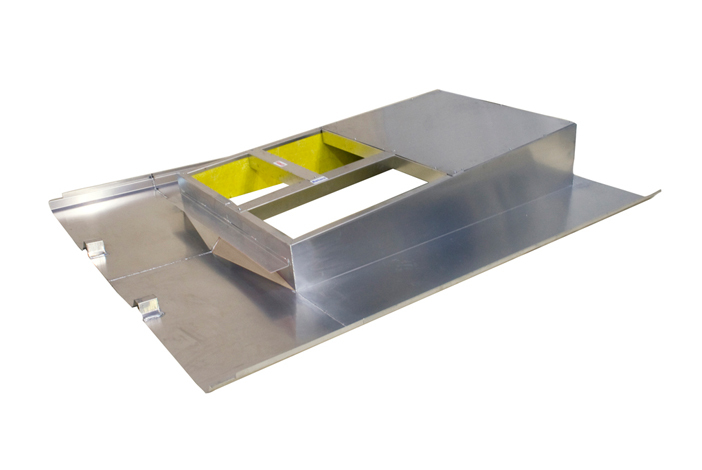 This Seam to Seam style, which we refer to as the Seam-In curb, offers the best protection for roof penetrations and actually becomes part of the roof by shingling into the roof system essentially like a roof panel. 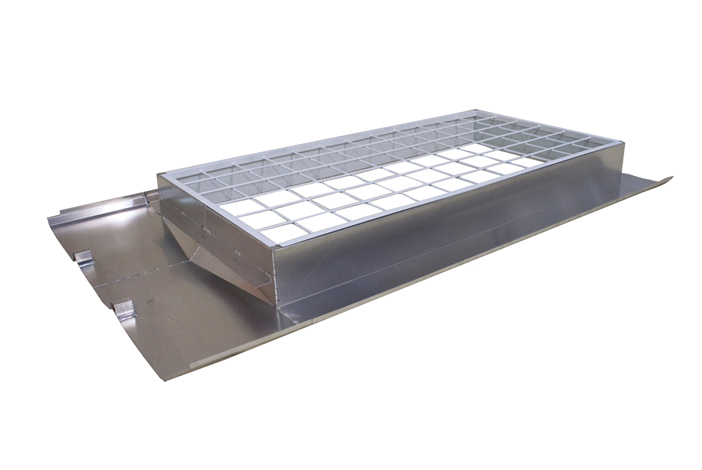 This style is required to comply with 20-year roof warranties by many major building manufacturers within the metal building industry. The attachment to the rib is typically done with a seam cap provided by RCS. When constructed from 0.080 aluminum, RCS offers a standard 20-year workmanship warranty*. RCS offers a special version of our TRAC Rail™ Curb Support System for Seam-In curbs in order to properly support the extended flanges and provide a full width cross channel. *RCS guarantees workmanship for 20 years to repair or replace any part manufactured by RCS found to be defective in material or workmanship for a period of 20 years from shipment. For more information regarding our warranty coverage, please contact us.